If you’re planning to travel to Portugal with children, we highly recommend a luxury Martinhal Hotel or Resort. Each one has been designed with families in mind to ensure that parents, grandparents and children have a fun and relaxing holiday in luxurious accommodation. With four locations available, Martinhal accommodation is perfect for family holidays to Portugal. Here we take a look at each of the four Martinhal Hotels and Resorts we offer at Pousadas of Portugal. This 5-star family hotel is the perfect combination of luxury accommodation with the ideal location of being right by the capital. Cascais is a beautiful seaside town with stunning beaches and is just a 30-minute drive to downtown Lisbon. You can take a look at a previous post about amazing things to do in Cascais. 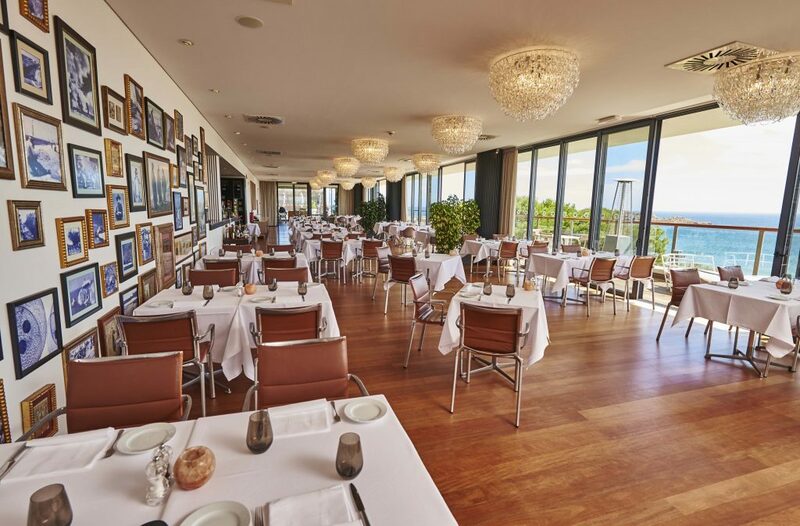 Martinhal Cascais has everything you could ever need for a family getaway. The kids will be constantly entertained with the large playground, football pitch, indoor and outdoor pools and many other children’s activities dotted all over. The outdoor play areas are within sight of the bars and restaurants, allowing parents to relax and have fun whilst being assured that they can keep an eye on their kids. 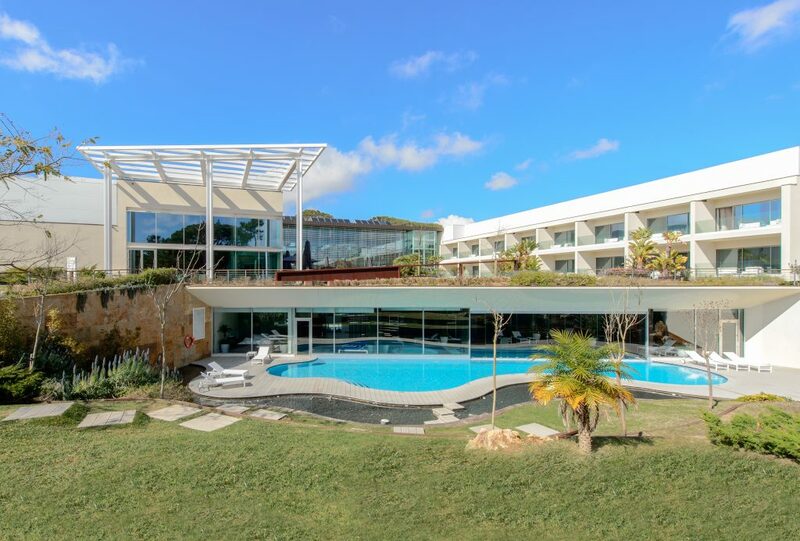 There is a spa, gym, on-site activities such as yoga and Pilates and a bike rental station for you to hire bikes to explore the wonderful town that is Cascais. There is even a baby concierge on hand to provide bottle sterilisers, baby gates, cots and baby baths. Also, an extensive menu of baby food in the restaurants, ensuring that children of every age are completely catered for. The luxury rooms are large and include a bath and walk-in-shower. All beds are super king size and can be arranged into two twins if desired. Every room has a balcony that overlooks the hotel’s amazing water features, garden and pool area. There are also suites and villas available for larger families. There really is something for everyone. There are so many incredible activities close by. The hotel’s family concierge can organise activities including tennis, surf or paddle boarding lessons, sailing, rock climbing, horse riding, dolphin watching or fishing activities for the whole family. Martinhal Chiado is located in the very heart of downtown Lisbon and is perfect for families looking for a city break. Their philosophy is centred around keeping children safe, entertained and happy. This hotel is in a beautiful 19th century building and has 37 suites all with separate seating area, dining area, private bathroom and well-equipped kitchen with a cooker, fridge, dishwasher, washer-dryer, along with cutlery and crockery. If you don’t fancy cooking, there is an on-site family café lounge which serves a buffet breakfast and light-meals throughout the day. Alternatively, you can go out and explore all the amazing restaurants and cafes nearby in Lisbon. You can take a look at more things to do in downtown Lisbon. There are so many ways to keep your kids entertained at Martinhal Chiado. The family concierge is on hand to facilitate your stay, whether that’s providing age-appropriate facilities in your suite or offering a babysitting service and running a Kid’s Club. 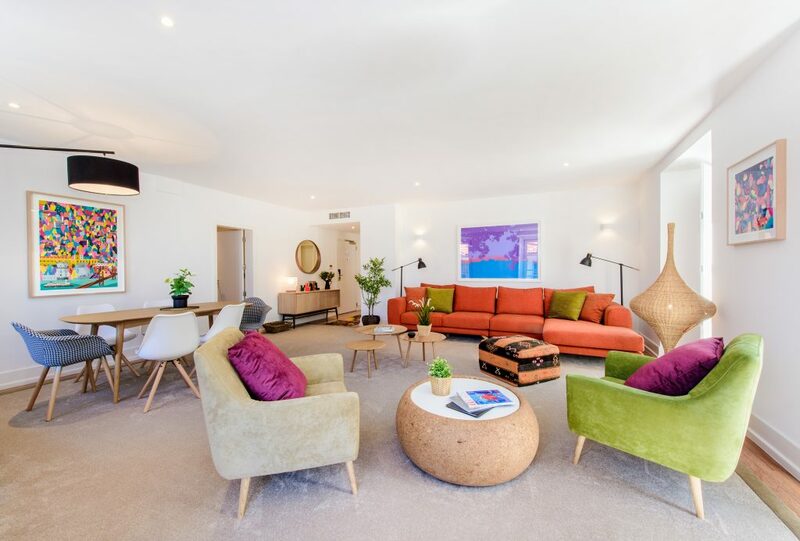 The club even runs ‘pyjama parties’ at night so that you can go out in the evening and enjoy the fabulous city of Lisbon whilst your kids are safe and sound in a custom-designed sleeping area. Martinhal Sagres is a 5-star beach family resort in the immaculate, unspoilt Western Algarve. Set in a stunning location within a Natural Park and overlooking a beach, this resort offers fantastic facilities for children of all ages, giving parents the peace of mind knowing that their little ones will have an amazing holiday. In addition to the beach being just a two-minute walk away, the resort has three family-friendly restaurants, four bars, four swimming pools, a tennis court, spa, grocery shop, boutique and a water-sports centre. It also has a creche and Kids Clubs for children of all ages so that they will never be bored. There are so many activities and child-friendly facilities throughout the resort; all restaurants even have a kids’ entertainment corner and offer healthy children’s menus, including a wide selection of purees for babies. Bike tours and bike rental are available on-site. Other activities on offer include surfing, diving, trekking, fishing, jeep safaris, boat trips and dolphin watching. You can take a look at the reasons why you should pay a visit to the Algarve, and the top four historic sights to see while you’re there. 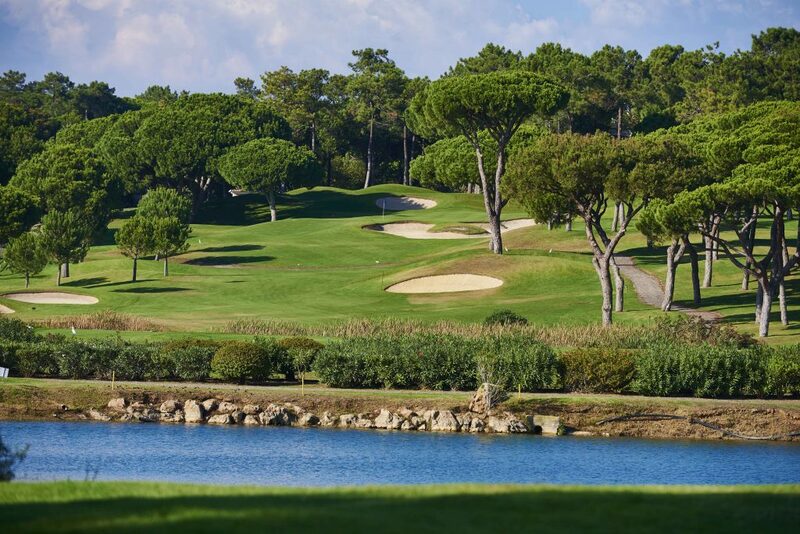 Martinhal Quinta Family Resort offers a luxury family-friendly resort right in the heart of the renowned Quinta do Lago golf resort in the Algarve. It offers fantastic facilities right at your doorstep, including award-winning golf courses, restaurants, a sea-water lake with pedalos, a water-sports centre and tennis courts. The heated indoor and outdoor swimming pools include water features and water slides, guaranteed to keep your children entertained whilst you relax at the pool-side bar. The resort even includes an on-site grocery store that offers fresh bread and pastries, high-quality deli items and all the essentials for families. Your kids won’t tire of things to do with the outdoor play area featuring a trampoline, sand pit, table tennis and the famous Martinhal VW Campervan. For the older kids there are PlayStations, Wii’s and other activities, as well as an active Kids Club and baby-sitting services available. There are plenty of activities in the region for the whole family, including windsurfing, canoeing, surfing, diving, fishing, boat trips, horse riding, jeep safari and Segway tours. You and your family will love a stay in a Martinhal accommodation. Your children will be happy and entertained for the entire duration, whilst you can relax and enjoy a stress-free holiday knowing that your little ones are well looked after and catered for.